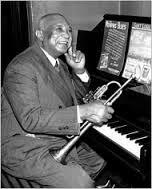 William Christopher Handy (Born 16th November 1873 – Died 28th March 1958) was an American blues composer and musician. He was widely known as the "Father of the Blues". Handy remains among the most influential of American songwriters. 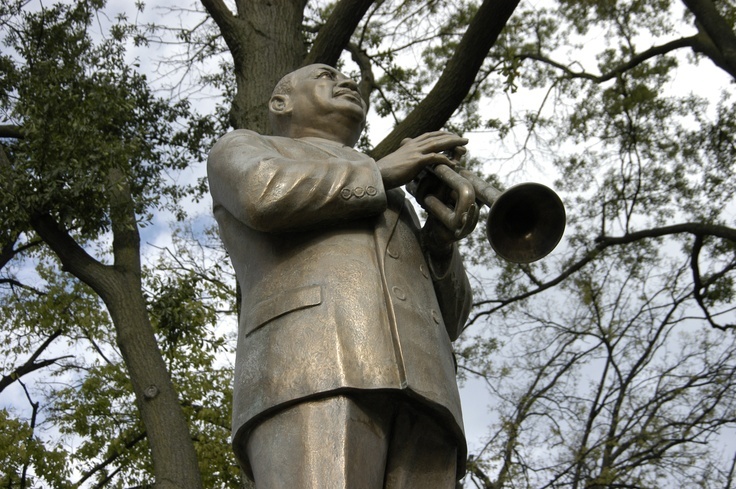 Though he was one of many musicians who played the distinctively American form of music known as the blues, he is credited with giving it its contemporary form. While Handy was not the first to publish music in the blues form, he took the blues from a regional music style with a limited audience to one of the dominant national forces in American music. W.C. 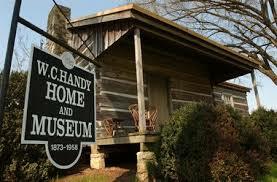 Handy was born in Florence, Alabama, November 16, 1873, the son of former slaves. His first instrument was the coronet, and he advanced from lessons in a barbershop to studying classical music. While still a teenager Handy began teaching school but left for better paying work in a factory. At the age of twenty, he organized a quartet to play the 1893 Chicago World's Fair, a gathering that attracted other musical luminaries of the time, notably ragtime pianist Scott Joplin. After the fair, Handy toured with various ensembles and taught music at Alabama A&M in Huntsville. He left teaching and joined Mahara's Minstrels in 1896 as a cornetist. Handy toured the country with the group, and quickly became their leader. In 1903, he moved to Clarksdale, Mississippi, to direct the Colored Knights of Pythias, an entourage that performed for both whites and blacks. During a performance for a white audience, a request was made to "play some of your own music." When the band resumed, the whites shouted that Handy was not honoring their request. During a break, three local black men with stringed instruments took the stage and played a primitive blues that brought an appreciative reaction from the crowd. The crowd's reaction caused the bandleader to reconsider the band's repertoire, noting the strong response that "primitive music" created. In 1903, while waiting for a train at a station in Tutwiler, Mississippi, Handy heard a black musician playing a guitar with a knife. The man was singing about going Where The Southern Crosses The Dog, and Handy recalled "it was the weirdest music I'd ever heard." The man's singing was answered by the crying sound that his guitar made as the knife slid along its metal strings. The influence of rural song forms on the classically trained Handy would find its celebrated outlet in his published work. 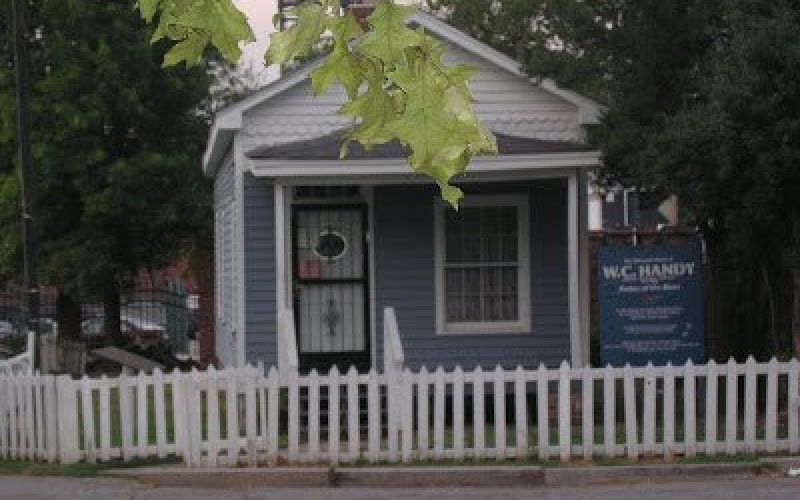 Handy lived and worked in Clarksdale until 1909, when he moved to another musical hotspot: Memphis. There he published "Mr. Crump" in 1909. This political song for Memphis's mayor remained popular and was covered by Memphis musicians, including Frank Stokes, long after Crump left office. Handy sometimes employed untrained blues musicians in his orchestras, with such later notables as Gus Cannon and Furry Lewis passing through the ranks. In 1912, "Mr. Crump" was given new lyrics and published as "The Memphis Blues," firmly establishing Handy's name in the white-dominated music publishing industry. Joining forces with partner Harry Pace, Handy operated Pace & Handy Music Co. on Beale Avenue from 1913-1918, publishing many popular tunes including "St. Louis Blues" and "Yellow Dog Blues" in 1914, and "Beale Street Blues" in 1916. "St. Louis Blues" in particular had phenomenal sales success, garnering worldwide acclaim and entering the repertoire of blues diva Bessie Smith. 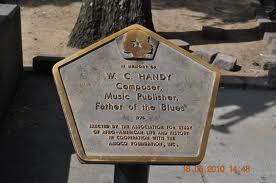 Handy's Orchestra of Memphis recorded for Columbia in New York City the year after "Beale Street Blues" was published. Handy and his partner Harry Pace moved to New York City, center of the music publishing business, in 1918. During the 1920s, Handy's Orchestra recorded for Paramount and Okeh while the bandleader continued to write blues songs. None of Handy's 1920s compositions approached the popularity of his earlier work. 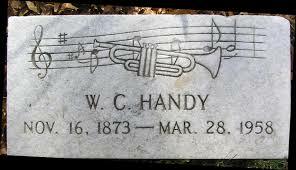 The city of Memphis honored Handy in 1931, creating W.C. Handy Park on Beale Street. Self-anointed as the "Father of the Blues" in his 1941 autobiography, Handy was acknowledged during his lifetime for his contribution to American popular music. Today, the W.C. Handy Award is a prestigious prize reserved for blues musicians. W.C. Handy died in 1958 in New York City. Handy was a formally trained musician, composer and arranger who helped to popularize the blues by transcribing and orchestrating blues in an almost symphonic style, with bands and singers. 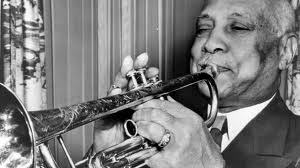 He became a popular and prolific composer, and billed himself as the "Father of the Blues". His compositions can be described as a fusion of blues with ragtime and jazz, a merger facilitated using the Cuban habanera rhythm that had long been a part of ragtime music. Handy's signature work was "Saint Louis Blues".